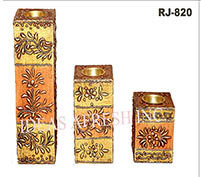 Antique yet extremely stylish wooden Candle Holder recall the timeless elegance of mughal era. 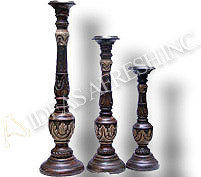 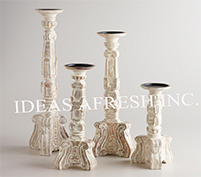 These wooden Candle Holder impart an elegant look to the room with their beautiful carving. 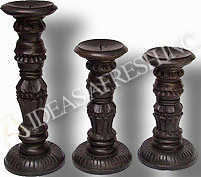 With an unconventional design, these lovely wooden Candle Holder in deep brown are quiet graceful. 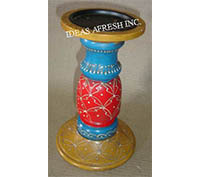 Wooden Candle Holder with Brass work. 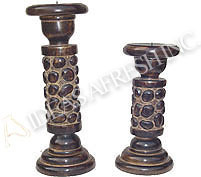 3 Pc Set. 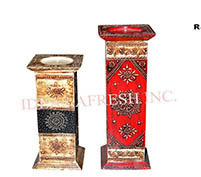 Wooden Candle Holder in white colour Finish. 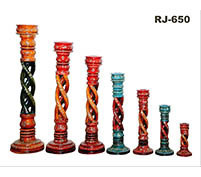 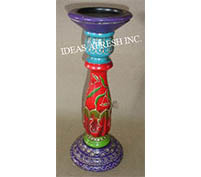 Wooden Candle Holder in Colored Finish. 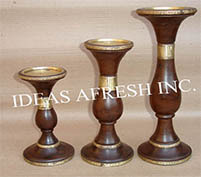 Wooden Candle Holder 3 Pc Set in Antique Finish. 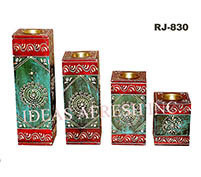 Wooden Candle Holder 4 Pc Set in Colored Finish. 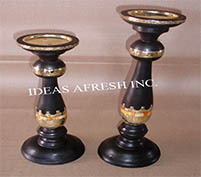 Wooden Candle Holder 2 Pc Set in Coloured Finish.